"Feel free to explore then call us at 305.607.3251"
​"Your Luxurious adventure awaits! " 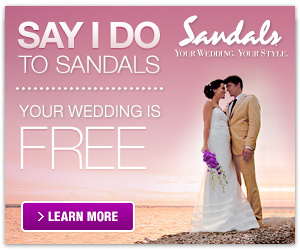 After you say "I do" why not begin your life as husband and wife with a luxurious honeymoon at one of the beautiful and exotic Sandals or Beaches Resorts located throughout the Caribbean. Let us help you plan an exotic honeymoon, a romantic getaway or a destination wedding of a lifetime!